Several OTDR measurements must be taken with different OTDR pulses. This can be extremely time-consuming and complicated, especially for one technician. The technician needs to have the experience and ability to properly select the test parameters and then accurately analyze the test results. As most technicians are currently moving from a copper to fiber background, they do not yet have the knowledge to perform these tasks. With over 70 million homes that need to be connected before 2014, this shortage of able technicians creates a problem. Thankfully, the FTB-730 OTDR now has new software that takes all the complicated work out of OTDR testing. The iOLM or intelligent Optical Link Mapper software will revolutionize the way OTDR trace analysis is performed. The iOLM automatically performs link recognition, sets test parameters and launches multiple acquisitions. This means in just one click, you can connect, check power readings, get a link map and find the fault. Because the iOLM is programmed with a database of network failures, after trace analysis is completed iOLM guides you through a step-by-step problem solving process. iOLM minimizes to possibility for errors and maximizes a technician's accuracy and efficiency, making an technician an expert regardless of the level of training and experience. What's the best part? This method is up to six times faster than current OTDR testing methods, features a user friendly interface is available at a lower price than similar products on the market. If you're ready to take advantage of this time saving technology, please contact us at sales@fiberoptic.com for more information. The Fiber Optic Marketplace, LLC (www.FiberOptic.com), a division of Adtell Inc., has announced the recent acquisition of FiberBase®, a mapping and asset management software solution from Corridor Technologies. Developed by industry professionals, FiberBase® allows network operators to visually diagram and document their network and network assets down to individual port assignments. Additionally, FiberBase® was designed to leverage the advantages of an Oracle relational database, allowing users to customize the user interface, reports and program functionality to meet the unique needs of their fiber or copper network. FiberOptic.com’s FiberBase® system provides full documentation for all equipment and connectivity for premise and outside plant operations, including documenting entire fiber optic routes, from every foot of conduit down to sub-ducts and individual fibers. FiberBase® has been seamlessly integrated with industry standard software such as Visio and MapInfo, making FiberBase® a powerful tool for users to generate reports on equipment and resources. FiberBase® is available as a client server application or a hosted solution. Pricing is based on the configuration and number of seat licenses a company would require. Company President Chris LaBonge stated, “The FiberBase® system is a key component of our FiberSentry system (http://fibersentry.fiberoptic.com) and the acquisition of this software from Corridor Technologies will allow us to further develop the software while integrating with other network monitoring systems to create an automated approach to uploading and storing OTDR trace files.” Customers can expect the same great product they have grown accustomed to with an increased commitment to customer satisfaction. The Fiber Optic Marketplace, LLC, founded in 2001, is the leading online provider of fiber optic products, training and rental solutions. Beginning as an online business-to-business portal for the fiber optic community and expanding to include domestic and international business, The Fiber Optic Marketplace, LLC is committed to maintaining excellent customer service and client relations. Continuing into the future, the company will continue to offer expertise in the field of fiber optics by providing customized solutions for customers. For more information on the product, or to request a demo, visit http://fiberbase.FiberOptic.com or call 877-529-9114. When you need to carve up an expensive resource (such as an active fiber route) into pieces, multiplexing is the way to go. What is multiplexing, you may ask? It's the process by which multiple signals are combined into a single signal, then split back into pieces upon arrival. There are lots of types of multiplexing. The most simple is space division where the signal carriers are literally held separate by some kind of insulator (like CAT5 or telephone wire.) Time division multiplexing involves using a timer on either end to determine which signal the carrier is carrying. Core-division multiplexing (CDM) uses a code followed by data to specify which signal is being carried. Finally, frequency-division multiplexing (or in the fiber optic world, wavelength division multiplexing) involves sending signals over several distinct frequency ranges over a carrier. The device responsible for combining the signal is often called a MUX while the one responsible for splitting it apart is called a DEMUX. In two way communications a MUX/DEMUX pair is required at each endpoint so that communications can be sent and received. WDM (wave-division multiplexing) is further broken down into two flavors, CWDM or Coarse WDM and DWDM or Dense WDM. In Coarse WDM fewer signals are combined onto the fiber and they are spaced farther apart. In DWDM more signals can be combined resulting in increased hardware and system design complexity and higher costs. Depending on the system needs CWDM and DWDM are both viable options. I hope that helps explain why multiplexing is such an important part of fiber optic communications! CWDM is trending hot right now and we've got a whole new suite of instruments available for all your testing needs. Want to future proof your CATV broadband and hybrid networks? Try the FTB-5240S Optical Spectrum Analyzer. It's a highly accurate OSA and is ideal for multiservice operators and CATV operators. Want to achieve end-to-end characterization by testing through CWDM-based multiplexers and demultiplexers at ITU-recommended wavelengths? Try the high-resolution OTDR covering longer metro distances and ITU-based CWDM networks. Are you looking for an innovative, low-cost alternative for activation and troubleshooting of a CWDM network? It's the fastest and smallest CWDM tester on the market and we've got it! Interested in a quote? Drop us a line at sales@fiberoptic.com! Education is essential for those interested in entering the ever-changing world of fiber optics. Proper training will increase your knowledge base and give you the skills needed to perform professionally in the field. With fiber optic skills in high demand, now is the best time to consider training. If you’re beginner or intermediate level installer, the Certified Fiber Optic Installer course is a great place to start. CFI students receive the best technical training in the industry and gain hands-on experience working with equipment from the world’s top fiber optic manufactures. 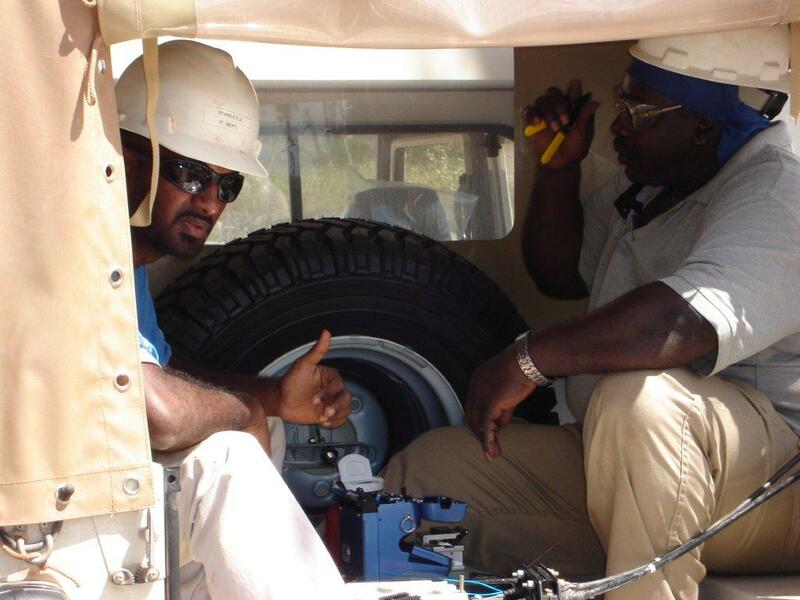 Upon completion of a four day course, students will be ready to install, splice, terminate and test optical fiber. They will also gain an internationally recognized certificate from the Electronics Technician Association(ETA) to prove it. FiberOptic.com offers training through The Fiber School. We have a training facility here at our headquarters in Breinigsville, Pennsylvania and we also take our courses to several different cities all over the world throughout the year! We strive to maintain a 10:1 student to instructor ratio to ensure each student receives individual direction from our experienced educators. Students are provided with all the tools and equipment needed, and our instructors are readily available to demonstrate correct, time-saving techniques. The Certified Fiber Optic Installer course is being held in Orlando Florida, on March 7-10. If you would like to register, please email training@fiberoptic.com, or call toll-free (877) 529-9114. I’ve been scouring the internet looking for a place for fiber optic professionals to meet and discuss our industry. The sad truth is, most of what is out there is abandoned, dated, or so choked with spam that it can no longer be used. There needs to be a place to go where people can ask questions and have questions answered. With so many talented people out there, there’s a real chance to make a solid contribution in our industry. Fiber Optics covers such a wide swath of telecommunications that our community knowledge is spread out all over the place. A fiber optic blog could help to slowly reel some of that back in so that you can have the resources that so many other niches of the telecommunication sector have. Actions speak louder than words. I’m going to make a commitment to you to try to provide the best blog content around. Some of the existing blogs were so possessive of their outgoing links that it made it impossible to get any kind of community interaction going. I’d like to change that, but I need your help. I’ll be giving prizes out to people to contribute the best content! I'll be doing a few posts on Asset Mangement since it's a relatively small but very important part of any large fiber optic network. Before getting into the nuts and bolts (or bits and bytes, as it may be,) it's important that you realize why you should care. Aside from not burying yourself in mountains of paper (which become outdated in a matter of minutes,) preventing your truck-rolls from ending up in Boise instead of Biloxi, and opening yourself up to data loss when the disgruntled NOC burns the place down, you might want to check out these "Top 5 Reasons to Care About Fiber Asset Management Software." The importance of having a complete listing of your equipment, where it is located, and what it is attached to cannot be underestimated in any size network. Regardless of whether you're talking about copper or fiber, networks can be pretty complex. Once you throw in systems like PacketLight's new PL-2000 Multiprotocol/Multirate Sub-10G Muxponder (which is a highly specialized and complex network device) these network models quickly require software solutions to be adequately mapped. Without going into too much detail here, let's get back to our list! If you want to find out which customers are being affected by that backhoe that dug up one of your major route segments or determine how many pieces of equipment in your central office are older than 5 years you've got a lot of arduous research to do. Asset Management software makes these kinds of tasks a snap since everything in the database can be queried. It goes without saying that filing cabinets aren't ideal data repositories. Besides being vulnerable to fire, coffee spills, and lousy filing practices they take up a lot of space and require a lot of time to use. If you haven't already computerized your office, what are you waiting for? It's fairly likely that you use OTDR traces to determine the integrity of your network. Unfortunately OTDRs don't know the difference between a cable that's running up a pole or one that's inside an underground cable run. Without properly mapping your network it's hard to find the source of a problem, even when you know how far away it is in cable-distance. Rescanning at various points to find the problem is time consuming and unnecessary. Map your network and find those problems in as little as one scan! Network Monitoring Devices are the hot new item in Fiber Optics. They continuously scan your network for signal degradation allowing you to fix problems before they cause outages. I'll be doing a lot on these in future posts, but please feel free to contact me for more information. The gist of #5 is that Network Monitoring Devices require a GIS map of a fiber network to truly be effective. Since they can tell you how far from the scan the trouble is, it's simple to plot that across your mapped route segments. Using map packages can even give you a street address or closest intersection for the damage! There are a lot of Asset Management tools out there, but our research has shown FiberBase by Corridor Technologies (CTI, inc.) to be a robust and full featured solution. If you're not familiar with asset management, it's more than just simple tree-structure mapping and includes features such as GIS mapping, OTDR trace viewing/storage, Network Topology, etc. If you're interested in more information, please contact marketing@fiberoptic.com! Your feedback is appreciated and we love comments from our readers. Let us know if you use asset management software in the comments below!